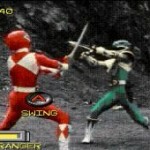 One of the more controversial FMV titles, Mighty Morphin’ Power Rangers attempted to go in a new direction with the standard gameplay of the genre, and it went from pre-production to release in less than ninety days, due to Van being presented with an almost impossible deadline. Some love it, and others hate it, but it’s definitely a game you need to play at least once. When it was first released in 1994, Virtua Racing wowed gamers with its incredible use of polygons and its $100 price tag. The exorbitant cost (the highest for the time) was due to it being the one and only game to ever make use of the powerful Sega Virtual Processor, or SVP chip. Until the 32X got a port a year later, this was the only way to play the arcade hit at home, and it was darn close to having a real Model 1 arcade board. It may be outdated now, but Virtua Racing’s place in Genesis history is assured. Action games are a dime a dozen, but sometimes a few come up with an interesting idea. Sega’s Jewel Master tries something new by putting the weapons system into two handfuls of rings, each with its own power. These magical rings can be combined for all sorts of neat power, and though the game didn’t fufill its potential as hoped, it was still a fun little romp that deserves to be checked out. Full motion video attack! Yes, many gamers automatically think of these controversial games whenever the subject of the Sega CD comes up. There are a ton of them, and many deserve the negative comments that spew forth at the very mention of their name. What about Ground Zero Texas, one of Digital Pictures many attempts at making the genre popular? Well, you could possibly consider it the poster boy for everything people hate with FMV games. There’s no denying that people love pirates. Johnny Depp is laughing all the way to the bank thanks to that fact, but gamers have also benefitted from the public’s obsession with wench-groping, ale-swizzling rogues. Why, the Sega CD alone got one of the best pirate adventures in history, The Secret of Monkey Island.